I thought I would therefore write this article which focuses on the practical implications for organisations of developing this dynamic conception of wholeness, and how it can be applied in the areas of innovation, design, strategy and organisational and cultural transformation. 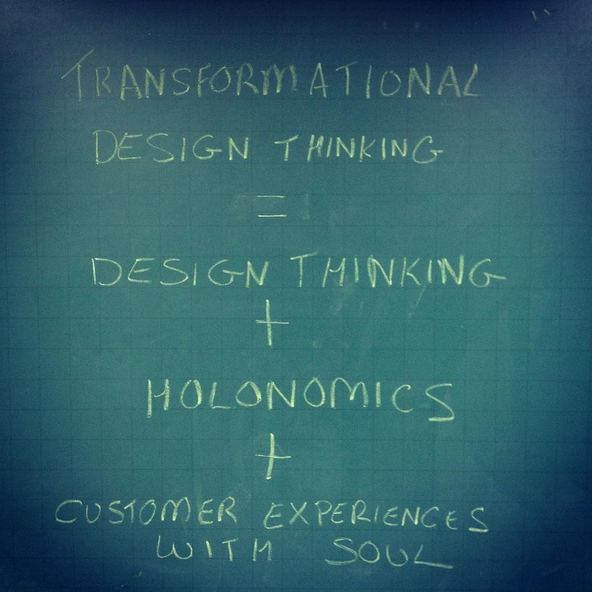 These are the themes of our two books, Holonomics: Business Where People and Planet Matter and Customer Experiences with Soul: A New Era in Design. “One day I was trying to describe the idea behind this work to Brian Lewis, who was professor of educational systems at the Open University. He told me that it sounded to him very similar to what is called ‘the hermeneutic circle’, and he suggested that I looked into the philosophy of hermeneutics. This philosophy arose in the first place in connection with questions about how we understand written works – whether they be scriptural, philosophical, literary, historical, or legal. But it became apparent that hermeneutics applies more widely to all forms of expression, and hence to any kind of cultural expression from the simplest to the most complex. Put simply, if somewhat abstractly, the hermeneutic circle arises from the circumstance that, in order to understand the whole we must understand the parts, but in order to understand the parts we must understand the whole. It became obvious immediately that the holographic approach to wholeness – with which it was intended to replace the systems approach – had a form which is very similar to that of the hermeneutic circle, and hence that what we thought of as a ‘holographic’ survey could equally well be thought of as a ‘hermeneutic’ survey. Switching from the holographic model to hermeneutics, had the advantage that it located what we were trying to do in the context of a known, even if unfamiliar, philosophical tradition. 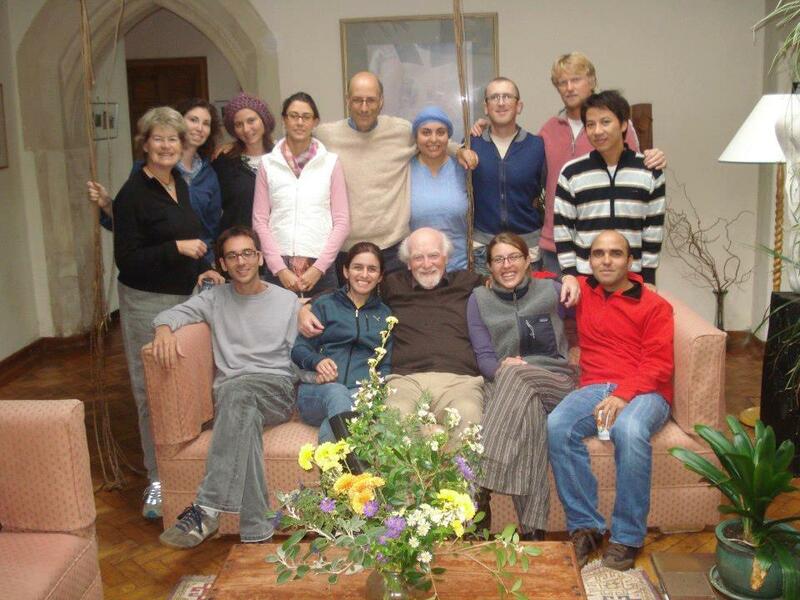 In order for you to understand how I set about this task, in 2010 I also met my now wife, Maria Moraes Robinson at Schumacher College. Maria is Brazilian, and I had started to spend time in the country. Maria has many years of experience in the areas of business strategy and the profound organisational and cultural change, and together we were invited to create an MBA module on strategy and complexity at Sustentare Business School in Joinville, in the south of Brazil. Before attending the module, my mental model and way of thinking only saw the negative features of complexity, seeing only limited possibilities. Complexity has come to mean knowledge, a set of provocations that result in change. It is the possibility of expanding the consciousness to the whole, to make sense, see answers and different ways of thinking. It is the possibility of recognising the characteristics that relate to thought, sensations, feelings and intuition. For me now complexity means an increase of possibilities, a wealth of options that lead to the results. It is the ability to undress our mental models and experiment, creating new possibilities. Before the course I understood the concept of complexity as being linked to uncertainties and contingencies. After the module, I now define complexity as opportunity. It is the opportunity to be an adaptive, creative, dynamic and more agile in our organisation. One of the things that became very clear for me was how people see things, the way in which different mental models see different situations and solutions. I also absorbed the four key qualities leaders need: sensemaking, being humble, telling stories and being mindful of yourself. It was after one of our courses in 2011 that a student came to talk to Maria and I and asked if there was one single textbook we could recommend which contained all of the insights from the module. Given that at the time there was not one single book available with this approach, he said to us that we should write one. 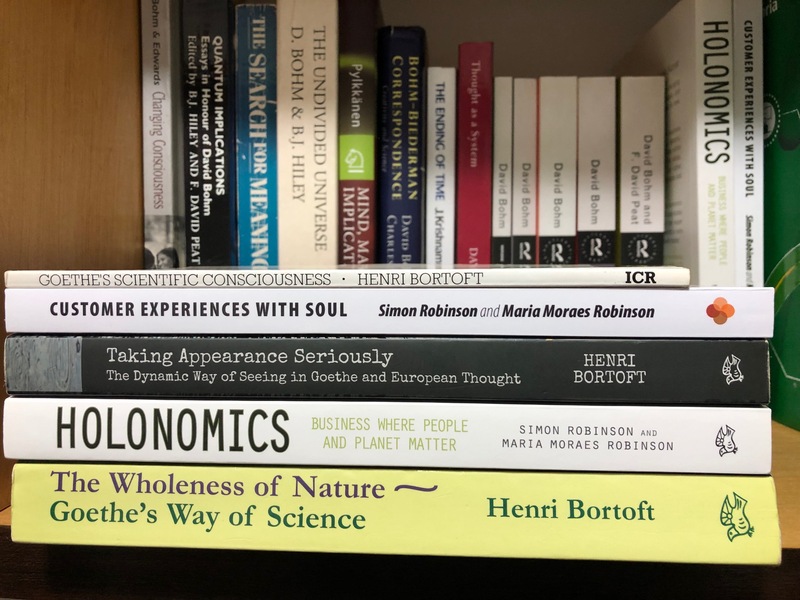 It was this suggestion which gave Maria and I to write our first book, Holonomics: Business Where People and Planet Matter, which was based on the structure of our module, but which allowed us to go into much deeper detail, notably Henri’s dynamic conception of wholeness. 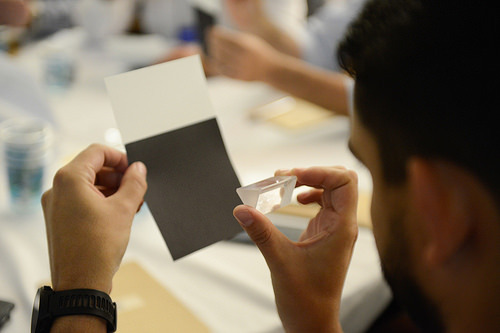 By 2012 Maria had started to incorporate some of Henri’s teachings on the dynamics of seeing and Goethe’s theory of colours into her work helping major businesses and organisations design and execute their strategies. 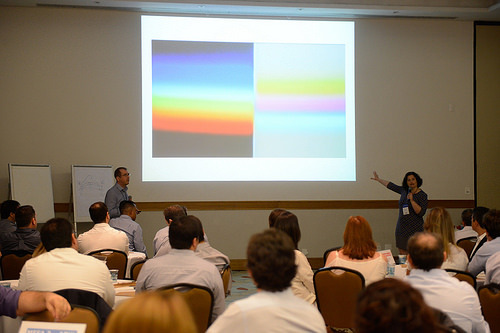 With great fortune, one of our clients, a global organisation with businesses in Brazil, gave Maria and I permission to publish photographs from one of our workshops with their senior leadership team of seventy people. We had used Goethe’s theory of colour to help people explore and experience the concept of a “phenomenon”, ways of logical reasoning and mental models. These photographs are important and of special interest because I believe they are the first to show Goethe’s theory of colour being applied in a corporate context. For this reason I am especially grateful to our client for allowing us to make them publicly available. “Balanced Scorecard can be seen as an entire management philosophy, but as I wrote in my previous article about Balanced Scorecard, for those who do not have a systemic understanding, many aspects can be easily missed when implementing it. While many businesses and organisations still aim just to maximise the performance of separate parts, such as teams, divisions, and profit centres, Balanced Scorecard allows a more nuanced relationship between the parts and the whole. The ‘whole’ in this context is articulated in the strategic map, representing the vision and the purpose of the organisation. Members of the organisation are encouraged not just to maximise their best locally, but to do what is best for the overall strategy, for now they can see the whole. 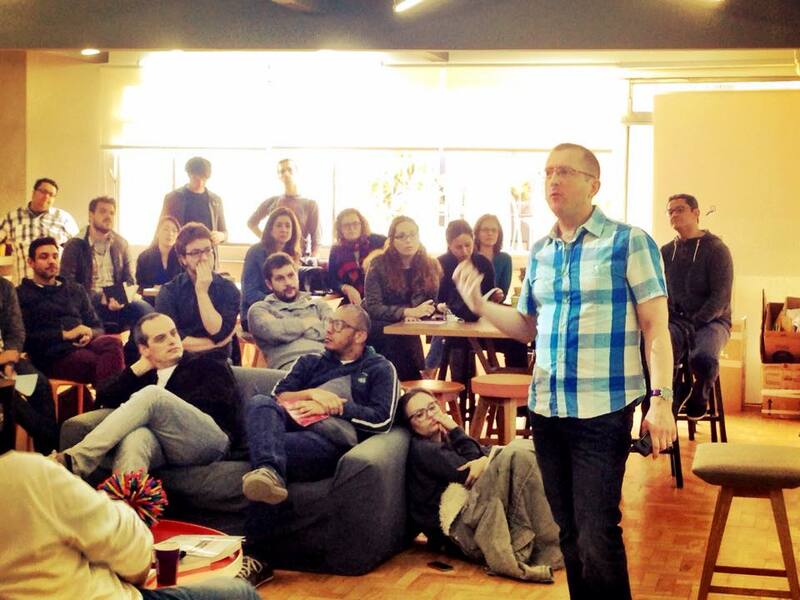 It was also in 2012 that I moved to Brazil, and as an freelance consultant I started to receive requests to help develop more innovative interventions for businesses in the areas of strategy, communication, innovation and customer experience design. So as the writing of Holonomics progressed, Maria and I were turning the philosophy into a more formal framework for the profound transformation of organisations, and so we called this framework the Holonomics approach. In this talk we presented one of our case studies, the application of our Holonomics approach in one of Brazil and Latin America’s most important hospitals. 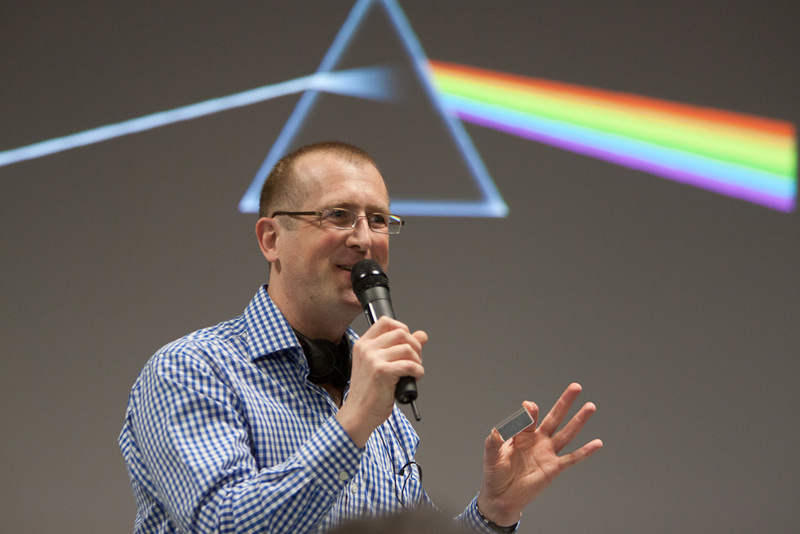 In this talk you will hear how we speak about “the whole” and how this philosophical understand of wholeness relates to the lived experience of employees, and how each person at the hospital is able to express the whole while retaining their individuality. In 2015 we had further recognition for our work from Sustainable Brands when they included us as one of their Top 36 Sustainability Books. This again was a great honour for us, and it helped Holonomics gain a wider global audience. 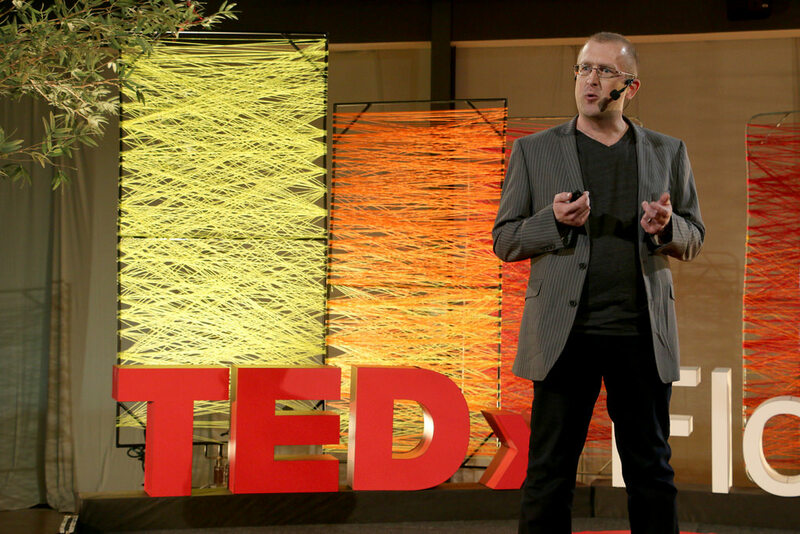 In the middle of 2015 I was invited to give a talk about Holonomics at TEDx Florianópolis. As this would just be myself speaking without Maria, I wanted to concentrate on the theme of how Holonomics relates to the area of design. I set about thinking about how Maria and I were really working and the essence of our approach, and so the phrase Customer Experiences with Soul came to me as a title for my talk. This phrase really resonated not only with Maria and I, but also many people who we discussed our approach with. In the middle of this year I received an invitation to provide the keynote speeches about both Holonomics and Customer Experiences with Soul at the Green Spa Network’s annual conference at Yosemite in California. It was an amazing experience to be able to share insights from our work with an audience of spa and business owners, all of who were working with sustainable and ecological products and services. Two different interviews were recorded. In this first one I discuss Holonomics and Customer Experiences with Soul, and I start by explaining the influence of Henri’s thinking. Holonomics was written to help people not only understand the dynamic conception of wholeness, but also how it could be integrated into a deeper form of systems thinking, one which Maria and I coined as Holonomic thinking. However, we knew that it was important to continue to help people to make the shift from an intellectual appreciation of our approach to one where the insights could really be put into practice. For this reason we extended the Holonomics approach by developing the holonomic circle, a tool which was inspired by the hermeneutic circle and which forms the basis of our approach to customer experience design. 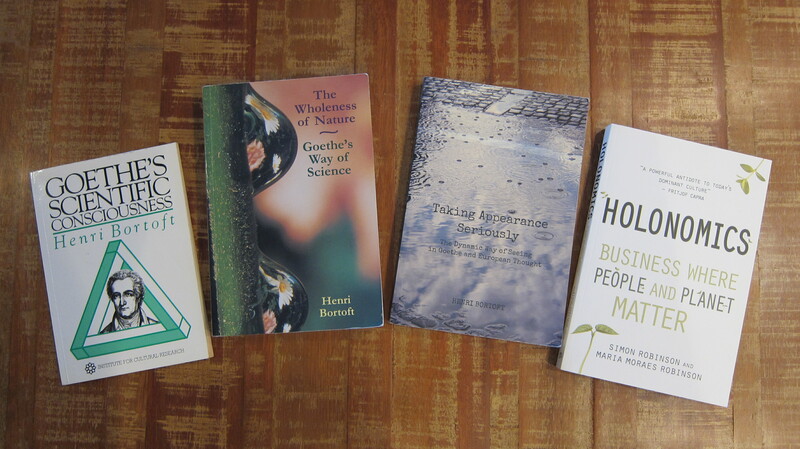 While Henri’s first book The Wholeness of Nature inspired Holonomics, it is his second book, Taking Appearance Seriously which inspired us to develop our work further in the areas of human experience, consciousness and meaning. How can we better enter into the lived experience of other people, in order to better empathise with them, and therefore develop deeper insights to people’s problems they are facing today? How can an immersion in art help us to inform our approach to product and service design? What is the role of language in creating the way in which we experience and structure reality? What is the nature of beauty, goodness and the truth, and how do these relate to being, the true nature of what something is? Customer experience design is the forgotten dimension of sustainability and regenerative practices. We created the holonomic circle to help people to transcend what have now become well-defined approaches and definitions of customer experience, and to help companies and organisations understand why their offerings are no longer resonating with people, and how to develop a profound understanding of the lived experience of every single person whose lives our organisations touch. We published Customer Experiences with Soul: A New Era in Design in 2017 through the London-based publishing division of Holonomics Education. Shortly before publication, we were invited to introduce our new framework at Sustainable Brands Bangkok, where we also ran a workshop which allowed people to better understand the holonomic circle in more detail. 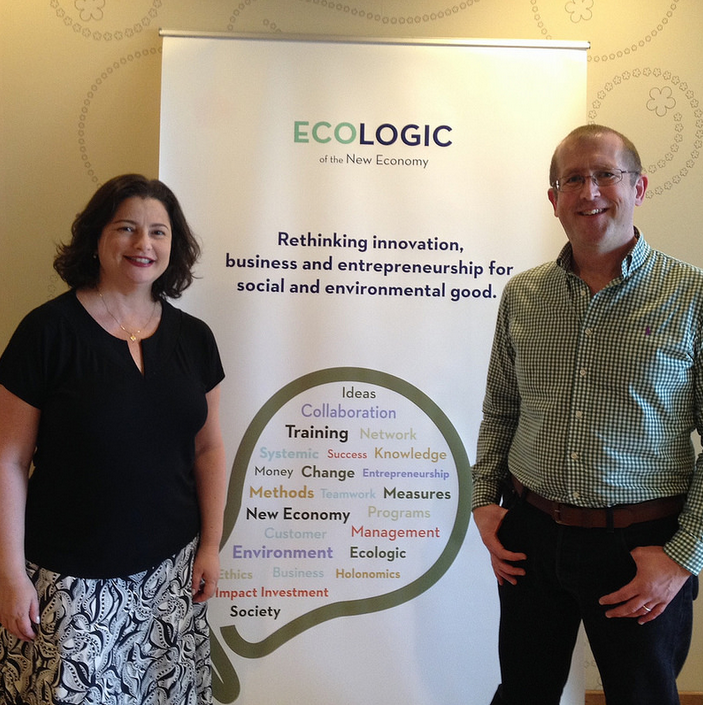 In 2017 we were also invited to Athens, Greece where we took part in EcoLogic, a three-day event based on both Holonomics and Customer Experiences with Soul, which was hosted by New Wrinkle and supported by Apivita and alongside the Brazilian and Spanish Embassies in Athens. One of the first people to really pick up on our new approach to customer experience design was Jason Grant, CEO of Integral, who described our book as “the most significant book in user experience design this decade”. Maria and I were also invited to discuss our work by Jason which we did in this webinar for the international group of designers which Jason, together with Anthony Ogley, have been growing. We wrote Customer Experiences with Soul as we wanted to complement the existing body of works with a deeper approach to customer experience design, one which was built on our Holonomics approach. This approach was developed to enable entrepreneurs and leaders to develop organisations and enterprises which are in harmony with nature and society and which recognise that financial aspects are just one dimension of many which define success, such as longevity, fairness, purpose, social and environmental contributions. The Holonomics approach treats business organisations as authentic and coherent wholes (to use Henri’s terminology), including radically new ways to envision strategy development and implementation, customer experience design and business model evolution. Financial results are seen from a systemic perspective as an important but not unique factor which enable an organisation to achieve long term sustainability, being the outcome of purpose-driven missions and visions. How do we manage and nurture flourishing businesses which express soul? How do we engage the most senior executives in a manner which is constructive and which creates immediate impact and lasting change? How do we develop a strategy for a new kind of business in a world which is volatile, uncertain, complex, ambiguous but also abundant? How do we scale up a business without losing its essential essence? The Holonomics approach, inspired by Henri’s dynamic conception of wholeness, enables people to integrate these principles into existing major corporations and conglomerates. And now it is not just Maria and myself who are practitioners of Holonomics. Our books are now being discussed and form part of course curricula for a number of business schools and colleges both here in Brazil, such as Transformational Design Thinking which we teach at Pontifical Catholic University of São Paulo, and also externally, including the University of Wisconsin, Minneapolis College of Art and Design, California Polytechnic State University and Savannah College of Art and Design. As we say in Holonomics, Henri’s teachings were “less about the transmission of facts which could be easily integrated into one’s existing body of knowledge, and more about shifting the student’s mode of consciousness. This is by no means easy to grasp in the first instance, especially if one has grown up with the western scientific mechanistic paradigm – a Cartesian conception of reality. The rewards to those who have a genuine desire to experience the dynamics of seeing cannot, however, be underestimated. The greatest asset that businesses have in this post-industrial era of the knowledge economy is the intelligence of its workforce, and the competitive advantage which comes from the creativity not only of the leadership, but also of the whole organisation”. For those of you who have already watched the entire series of lectures, I hope you found them as interesting and enlightening as I first did back in 2009. Henri is an incredible person to spend time with, with a phenomenal wit matching his vast knowledge, understanding and his ability to articulate complex ideas in language that few other philosophers can match. And for those of you yet to watch them, I hope that in this article I have managed to show a little of just how great an impact Henri’s teachings can have in a business and organisational setting, and the many creative ways of putting them into practice in a manner that is instantly engaging and transformative, especially for those people without a background in technical and academic philosophy. 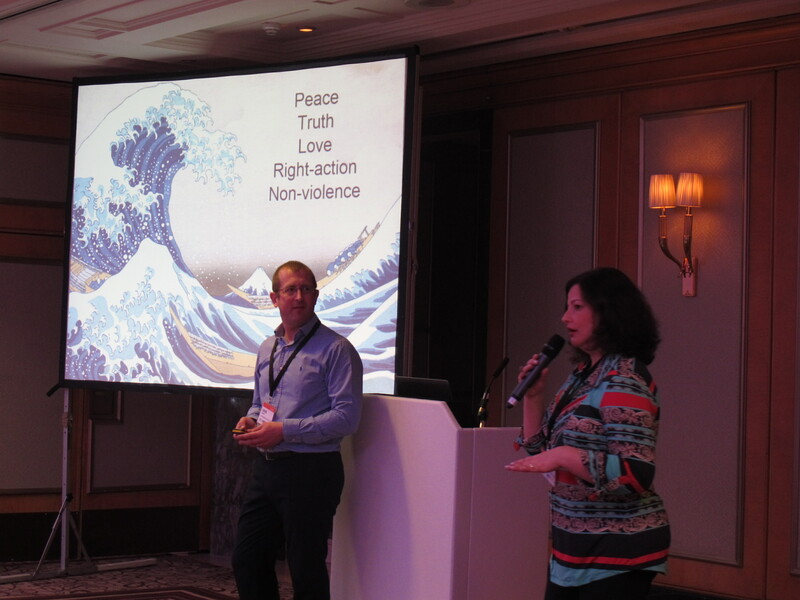 It has been amazing for Maria and I to receive the comments, feedback and recognition for our work in this area, and also to have had the opportunity to work with so many varied partners and organisations on transformative and cultural projects. We wrote Holonomics and Customer Experiences with Soul to help people understand Henri’s dynamic conception of wholeness from a practical perspective, and I hope that this article has been of interest to those of you who wish to explore this theme in more detail. As always, we very much welcome comments, and please do feel free to find our more via our company website, Holonomics Education, and through our books, articles and presentations. Reblogged this on Systems Community of Inquiry.